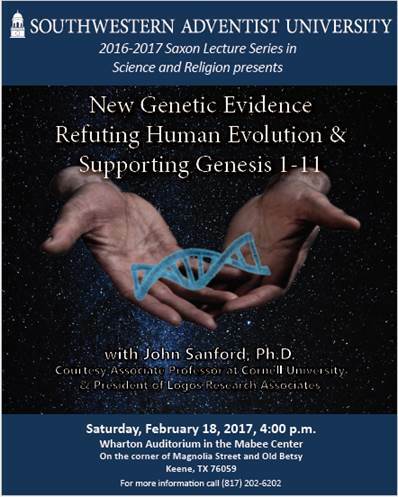 Sandford is a plant geneticist and associate professor at Cornell University in New York. He has conducted genetic research for more than 30 years leading to many discoveries in science. Sandford also holds several patents in his area of specialization. lead organizer/editor of the Cornell symposium and subsequently published proceedings entitled Biological Information—New Perspectives. Tomorrow’s lecture is free and open to the public.